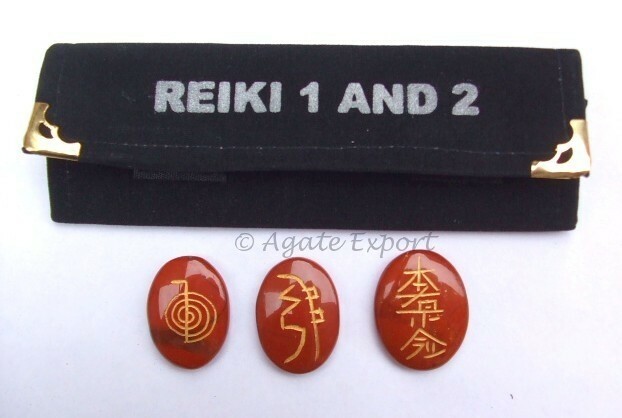 Red Jasper Reiki 1 - 2 Oval Set has oval shaped stones. 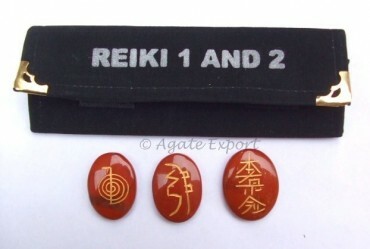 The symbols on the stones play key roles in reiki.  Using these symbols, one connects to the spiritual power. It is available on Agate Export site.